In a corrupt community, young girls are sold to men as mere objects of pleasure and they are kept for as long as the men desire. 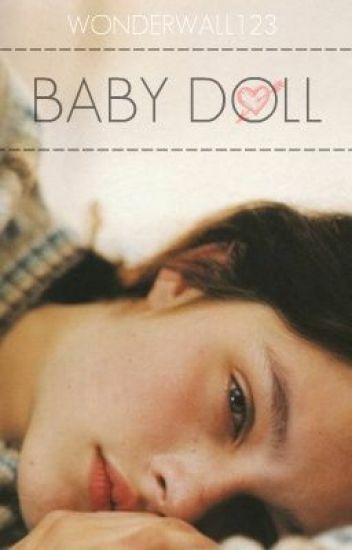 But things take a turn when the spoilt son of a wealthy businessman crosses paths with an unfortunate girl forced into the twisted world of Baby Dolls. Imagine a society where everything is absolutely perfect, or at least that's what they make it out to be. "You were merely the dolls on strings...the...show. Unlike any other show, you didn't rehearse, oh no no no. You see you are puppets, you are controlled by strings. And those strings my dear sweet Adriana Styles, are controlled by management. You only have his last name for a year. He doesn't love you honey. He loves your fame. He loves your money. Harry loves the idea of what you can give, but not you yourself." The tragic love story of a sad girl and a dead boy who must work together to find his killer, amid heartbreak, mystery,  and learning that perhaps death is not the end. (IN EDITING) Hi. I'm Nicole Miller and I've been in foster care since I was born seventeen years ago. I've moved around a lot to say the least. Over the years I've been used, abused, and sexually harassed by my various foster parents. Now, I'm moving again. I never know quite what to expect. All I know about this new family is that their last name is Styles, or something along those lines. For some reason my caseworker really thinks I'll like these people. And I really hope she's right. "I'd like to propose to you a deal,"
"What kind of deal?" I asked. "A deal that I can make you fall in love with me in at least six months,"
“Our doubts are traitors, and make us lose the good we oft might win, by fearing to attempt.”"
"So do we have a deal, can I make you love me?" A sad girl with a past meets a goofy guy with the possibility of a future. Sounds about right. Follow Adelaide and Harry in a story of secrets, healing, love, and a lot of corny jokes. Carter Noel is a quiet girl that has gone through hell and back. Hoping to escape her past, she leaves to the UK in order to start a new life. Enrolling at Brentwood Boarding School, Carter comes across Harry Styles, a boy that reminds her of what she left behind. Everything she ran away from comes face to face with her but there's something about him that draws her back. Will her past keep her from falling in love or will it protect her from what she's afraid of? DO NOT COPY THIS STORY! *Copyright Violators Will Suffer The Consequences & my vicious wrath grrr* no I'm serious, if people copy this I will NOT post anymore! Faith Rose Evans is just that ordinary girl that always wanted to fit in. Especially since she lost her parents in a car accident and had to move into a foster home. Even at the foster home nobody wanted her, and because of this she never opened up to anyone until she was at least 6 years old. Once she started schools things were finally in place for her. She was now more talkative and open to new kids and she met a new girl of which is known as her best friend today. Lauren. But once she got to second grade, that's when she started to get picked on. By who you ask. 5 boys: Harry, Liam, Zayn, Niall, and Louis.